Jaipur quickly became one of my favorite cities in India. From the lively and colorful Pink City to the ancient monuments that have made it such an important place for so very long, there’s a lot to love about the city. 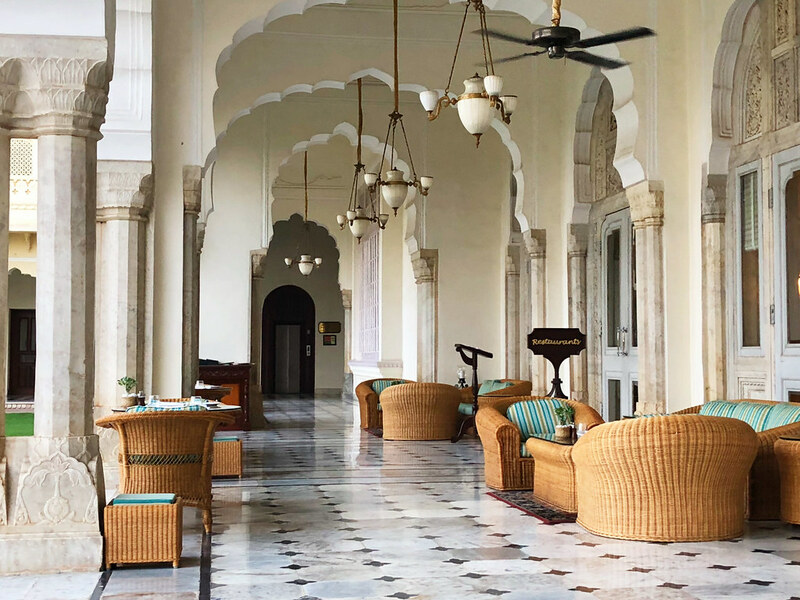 There are also any number of incredible luxury hotels in and around the city, but none quite like going back in time and stepping into the life of the Maharaja himself at the remarkable Taj Rambagh Palace. One of the many benefits of traveling with luxury tour provider Abercrombie & Kent, is that I know they have impeccable taste in hotels and resorts. Their style matches mine perfectly and, usually, the properties visited become a vitally important aspect of any trip. That was certainly the case at the Taj Rambagh Palace, a hotel that is unlike any other property in Jaipur. When arriving at a hotel it’s not usually to fanfare. There normally aren’t flowers thrown into the air and typically, I slip in without much notice. The first clue though that the Rambagh Palace is not your typical hotel happened right away, as all of that and more was bestowed on me – their Royal Welcome and just one of many fun features that makes the Taj so incredibly unique. Originally built in 1835, the palace has been expanded and developed many times in its history, from a modest hunting lodge for members of the royal family to the primary residence of the Maharajah himself. It remained a royal residence until the 1950s and then was turned into a luxury hotel, as it has been ever since. Walking around the expansive grounds, that history is everywhere and inescapable, from the hundreds of peacocks wandering the property to the incredible architecture at every turn. 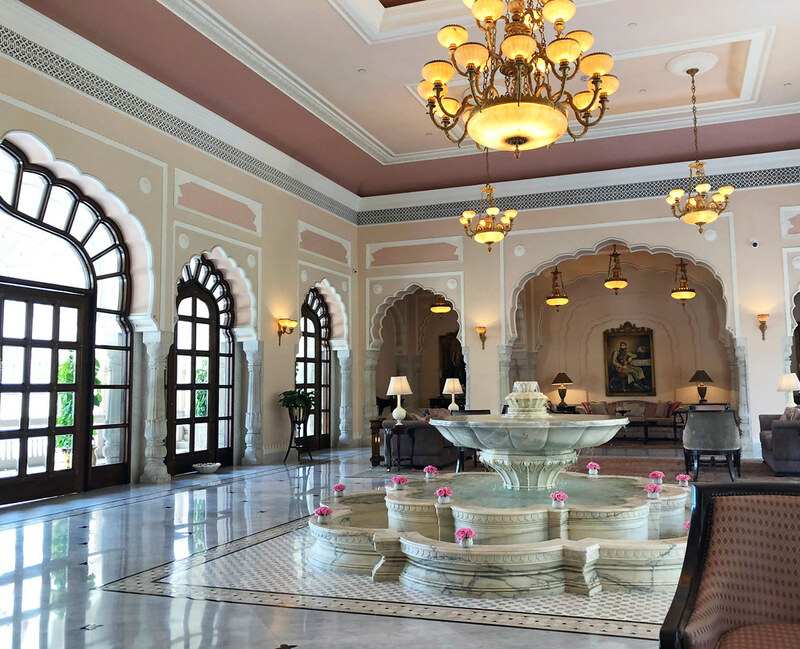 The Taj Rambagh Palace is about much more though than just its history, it has reinvented itself once again into an incredible 21st century luxury hotel as well. Touring the massive grounds of the Taj Rambagh Palace, I found it impossible not to feel relaxed. Outside the walls of the palace I could imagine the din of traffic, incessant honking and more. None of that invaded the pastoral calm of the Taj though, still a retreat today as it was a century and a half ago. It’s not removed though from the city, making touring around and seeing the best that Jaipur has to offer easy and convenient. The capital of the state of Rajasthan in Northern India, Jaipur is a relatively young city by global standards, founded in the 18th century by the regional ruler. Maharaja Jai Singh II moved his capital from a mountain stronghold to this new city, which he had built along strict architectural and design plans. That original city still remains as Jaipur’s old town, also called the Pink City thanks to the colorful hue of the buildings throughout the district. 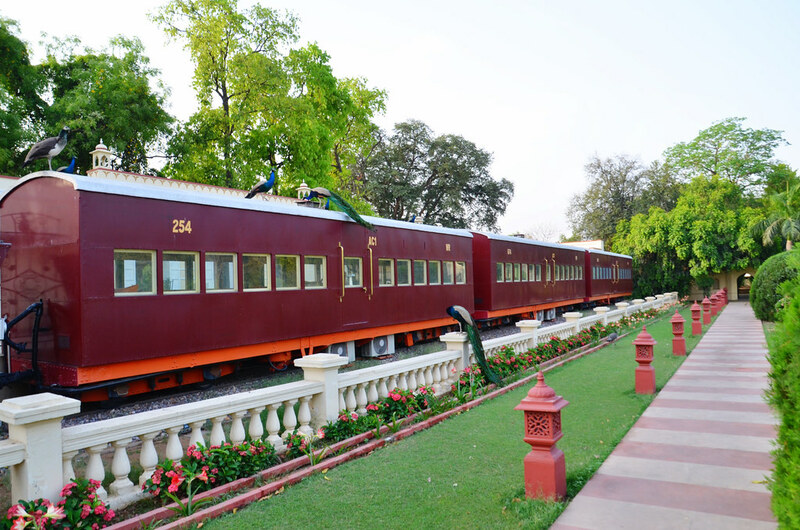 First painted to welcome the Prince of Wales in 1876, it is now the legendary trademark of Jaipur. With a unique blend of culture, history and natural beauty, I quickly fell for Jaipur as millions have done before me. It would be easy for the Taj Rambagh Palace to keep to its old ways, never innovating for new generations of guests. 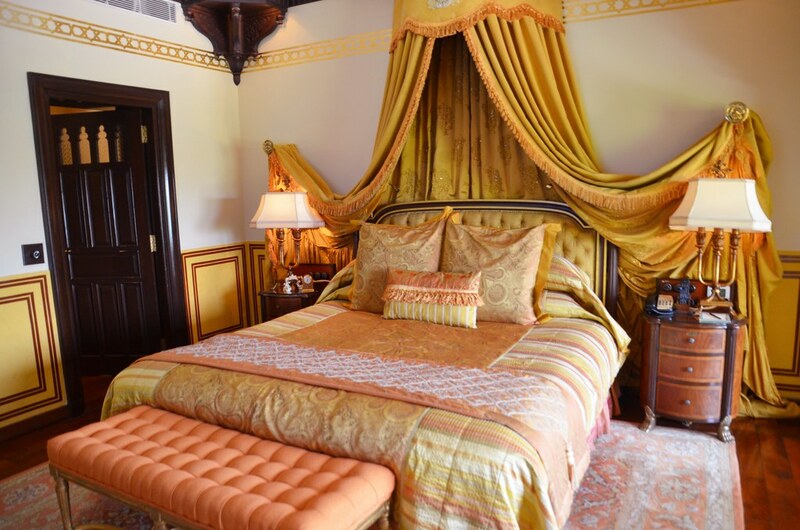 And while many of the rooms do indeed embrace the incredible history of the palace, this is also very much a destination for the 21st century traveler. The quality of the food is what perhaps surprised me the most, as well as the variety. For the traditionally minded, there’s an elegant dining room that serves as the go-to spot throughout the day, as well as a patio looking out across an immaculately kept green; ideal for those sundowner cocktails. What intrigued me perhaps the most though was the very unique venue Steam. Converting an old royal train car, this avant garde venue features drinks and comfort food in a fun and even festive environment. I loved my dinner in one of the old train cars which combines old school luxury with fun 21st century twists. The rooms themselves vary greatly and, thanks to the age of the palace, no two are exactly the same. From elegant suites with flourishes fit for the Maharajah himself to more modern rooms, no detail has been left behind in this large but luxurious hotel. As with most of the hotels I patronized in India though, service was at the heart of the experience. Throughout my time traveling around India with Abercrombie & Kent, I was struck by just how incredible the service was at every property. By the end of my trip I came to the conclusion that India offers some of the best luxury hotel experiences in the world, and the Taj Rambagh Palace played a big role in that revelation. 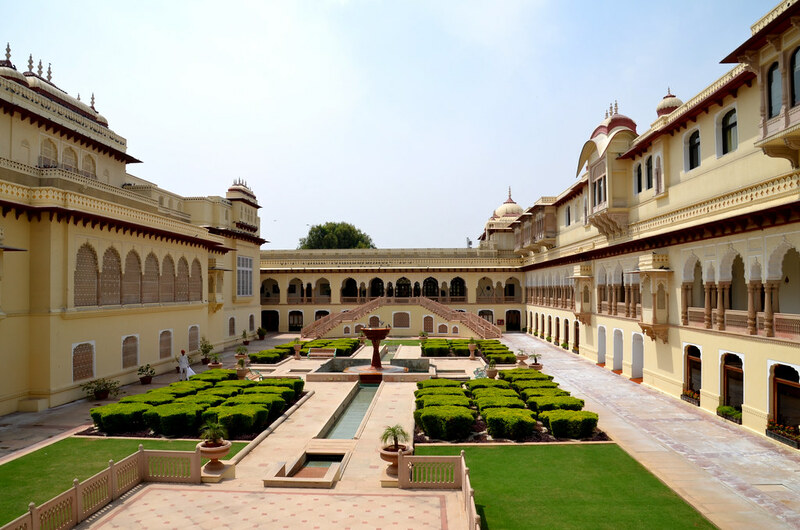 Jaipur has a number of great luxury hotels, including another Taj property, but if you want to live like a member of the royal family, there’s no better place to stay than at the Taj Rambagh Palace.